Yardage - Whole Yards Only Note ! If you need more than the 42 Yards we currently have in stock, please make a different selection as additional yardage is not available. In stock yardage is typically shipped within 2 business days. Freed Pewter is a woven full coverage, floral pattern with a Vertical repeat of twelve and three quarter inches and a Horizontal repeat of thirteen and one half inches. 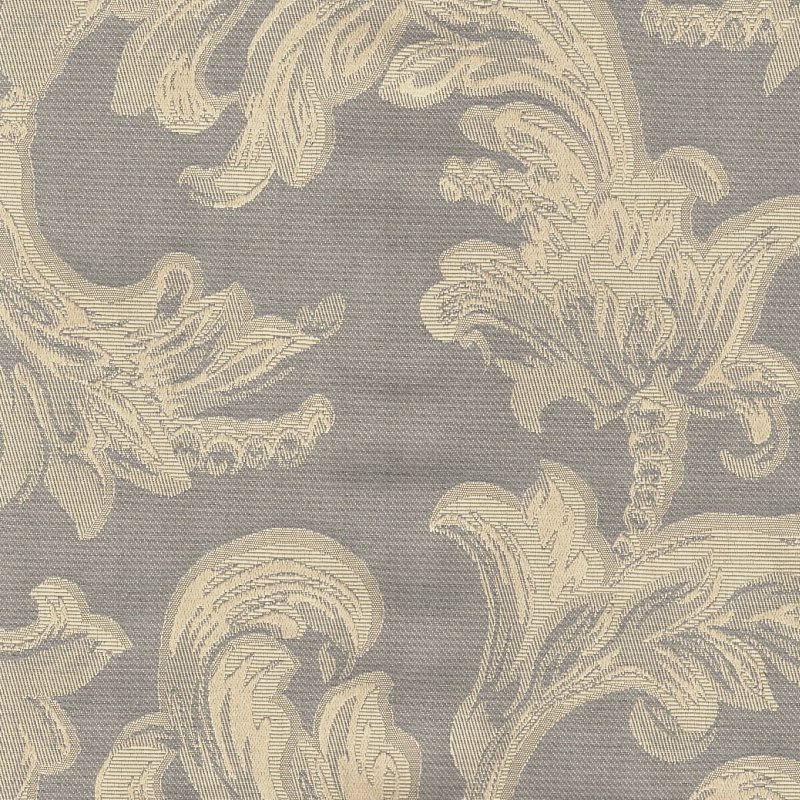 The flowers are depicted in shades of Almond against a Pewter Grey background with the various weaves giving this pattern texture and depth. With excellent durability, this fabric will work in Hospitality, Healthcare, Corporate and Residential settings where high traffic is a consideration. Freed is suitable for drapery, curtains, cornice boards, pillows, cushions, bedding, headboards and furniture upholstery.